The Wall Street Journal noted interesting findings from a recent panel regarding Gen Y's housing preferences. Last week's National Association of Homebuilder's conference broke out a few panels that discussed how millennials differ from their Baby Boomer parents in what they look for in a house. The article noted that Gen Y's "want to walk everywhere" Further, "surveys show that 13% carpool to work, while 7% walk" and Gen Y still much prefers city living as opposed to settling down in the suburbs. In fact, 88% of the survey respondents reported the desire to live in a city. This should not be surprising as Gen Y's are known to crave action and excitement, traits that are no doubt due in large part to our growing reliance on technology and socializing. The hustle and bustle that comes along with our rapid socialization also leads to our interest in city living as cities are key population centers where we can be exposed to as many people and as much activity as possible. Interestingly, much of what we know from these surveys about Gen Y's housing preferences can tell us a lot about Gen Y's investing habits. 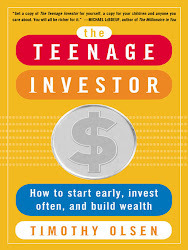 Indeed, Gen Y's tend to be more interested in active trading and other strategies centered on high activity rates. Unfortunately, this is also a very costly endeavor that can quickly eat away at any investment returns that are actually generated (and odds are, they won't be). The old axiom "don't just stand there, do something" applies to Gen Y investors as they stand now but it shouldn't. In fact, as John Bogle notes, all investors should heed the following instead - "don't just do something, stand there". In the end, passive investment pays off for all investors.